Just over two weeks ago Shanmugarasa Vinayagasivampillai of Meadway, Surbiton was sentenced to four year in prison for killing Louisa Gammie as she jogged along Old Malden Lane last November. The tragic accident was something I had intended to keep people informed about after my initial reports but my time was overtaken by other events. As promised however, I do want to catch up on some of the more important events that I left unreported at the time and as this case has now, at least in a legal sense, drawn to a close, it is probably a good time to talk about this. 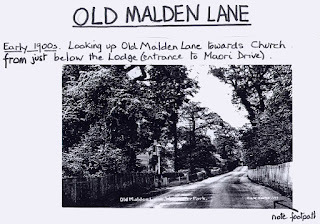 People will remember the awful morning of Saturday the 8th November when a young woman was hit by a van head on while out jogging along Old Malden Lane. 39 year old Louisa Gammie, the mother of a 20 month old child was air lifted to St Georges Hospital but sadly died of her injuries the next day. The 34-year-old van driver was arrested soon afterwards and pleaded guilty to causing death by dangerous driving in April. Mr Vinayagasivampillai was sentenced to four years prison two weeks ago on Friday 22nd May. 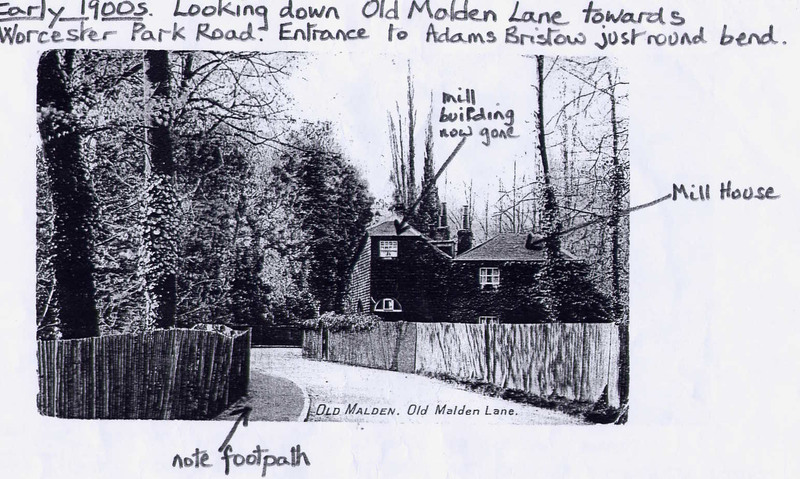 It has been suggested by a few people that Old Malden Lane is unsafe in its current layout and the lack of a proper footpath also contributed to Mrs Gammie's tragic death. As the picture on the right illustrates, there is very little space for pedestrians on some sections of this road. 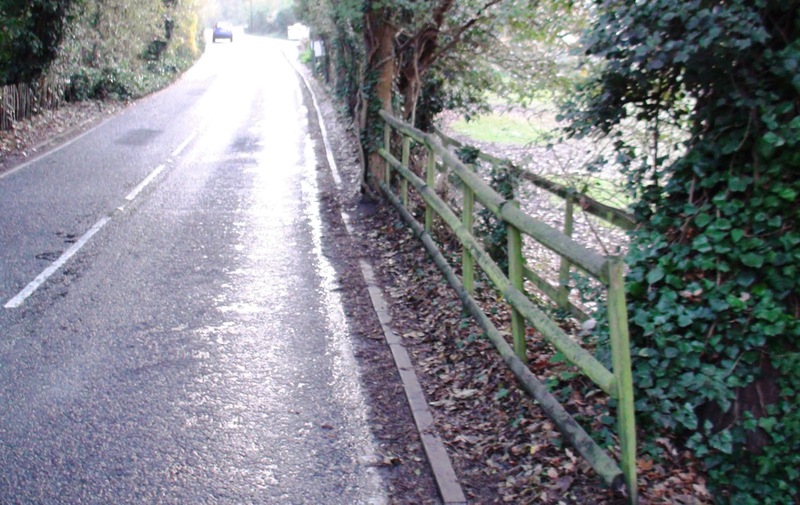 "I emailed SCC several years ago about the dangers to pedestrians on this road due to the lack of a pavement and was advised that due to the lack of residences on the road it was not justifiable. 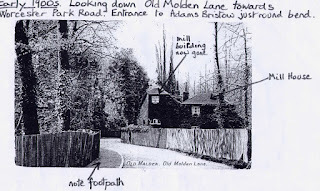 Yet there was a footpath/ pavement along the road till about just before 1937." It is a fairly busy road and also normally a very enjoyable one to drive/walk/cycle down due to the impression it gives that you are somewhere in the heart of Surrey rather than on the edge of Greater London. However I would hope that the safety of numerous road uses (not just local residents) would be an important consideration. Also that it shouldn't be beyond our collective wit to create a road that is safer while still retaining it's natural charm. The man who fell asleep at the wheel, killing Louisa Gammie, Shanmugarasa Vinayagasivampillai has had his four year sentence cut to three on appeal. The three senior judges decided that the original sentence did not sufficiently reflect his mitigation - including deep remorse. 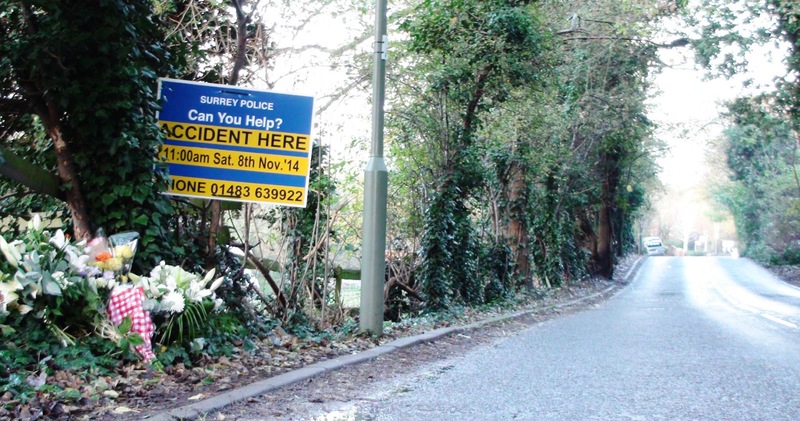 For more details please see the Get Surrey website for more details.